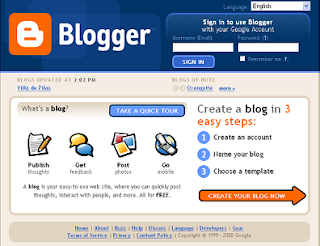 Kenton's Infotainment Scan: Where have all the (prolific) bloggers gone? Thanks for the timely post, Kenton. I'm an alumni, not a recent grad, but even I struggle to keep my blog current. In the summer months, people get too busy to comment, and you feel like you're sending your words into a vacuum. It's easy to think, "what's the point?" Thanks for reminding me what the point *is*. Yay! Glad to see my blog is still on the CreComm blogroll. Even when there's no comments, Wordpress still tracks hits and the number of new visitors continues to slowly rise. My favourite blogs are focused on a particular subject: prairie weddings, reviews of cosmetics, cooking, etc. A lot of new grads probably find they have nothing to write about once CreComm ends - I know I did - so they need to latch on to a new topic. Great comments - thanks, guys. I can attest to the frequency thing. Since summer, I've made an effort to blog once daily, Monday-Friday, and my traffic only continues to climb up and up (nearing 5k pageviews for the month already!). Persistence is key, I guess. We definitely looked at each candidate's experience with blogging when we hired our last marketing position. Also tallied up each candidate's followers on twitter, facebook and linkedin. Having a strong social media following is very attractive to an online company like ours. Sweet, I am awesome in general! People who understand that it will be an asset will use it, people who like it will do it. If you don't think it is an asset well then, that's your perogative to be ignorant of the potential of creating your own space. If I'm not one of the best examples of what it can do for you, then I don't know who or what is. I've continued to blog since graduating this spring and don't intend on stopping anytime soon. It's been a hobby of mine for years, and CreComm only strengthened my blogging skills. I think it's an awesome aspect of the program, and I really enjoy learning new things by reading the blogs of my colleagues!